Super Smash Bros Ultimate packs more fighters into its roster than ever before. It’s so big in fact, that every single character that has ever featured is returning, alongside some new faces of course. With so many characters to choose from, and considering that changes have been made to all of them, we figured we should put together character guides for each. In this Super Smash Bros Ultimate Pac Man Guide, we’ll be detailing the changes that have been made since Pac Man last appeared in the series. We’ll also take a look at the Alternate Costumes that are available when choosing Pac Man. 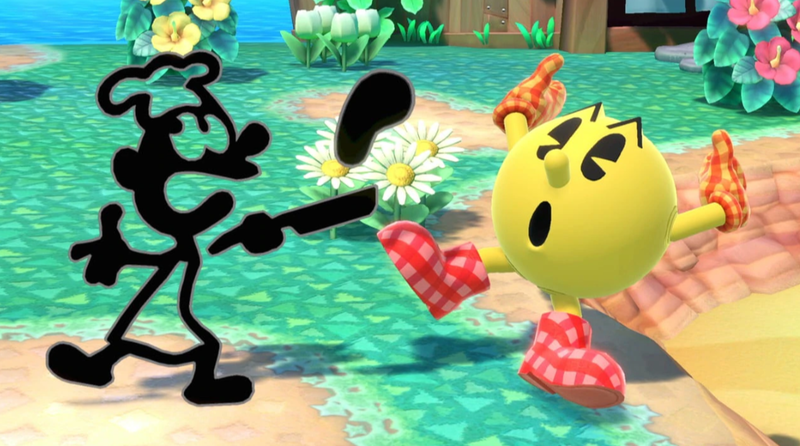 Finally, we’ll take a look at the Final Smash that Pac Man uses in Ultimate. Who on the face of the Earth doesn’t know who Pac Man is? In the table below, you can find a list of all the moves that Pac Man can use in Super Smash Bros. Ultimate. Pac Man has only appeared in one other smash game, which was the last one for Wii U and 3DS. As such, there have been quite a few rebalancing efforts made this time around. Everything from new moves to alterations of animations have been added. We’ve listed all of the changes we’ve noticed below. Some of Pac Man’s animations have been altered including jumpsquat, dash, down tilt and Final Smash. Final Smash features new visual effects, more on that later. Down Taunt has been changed. 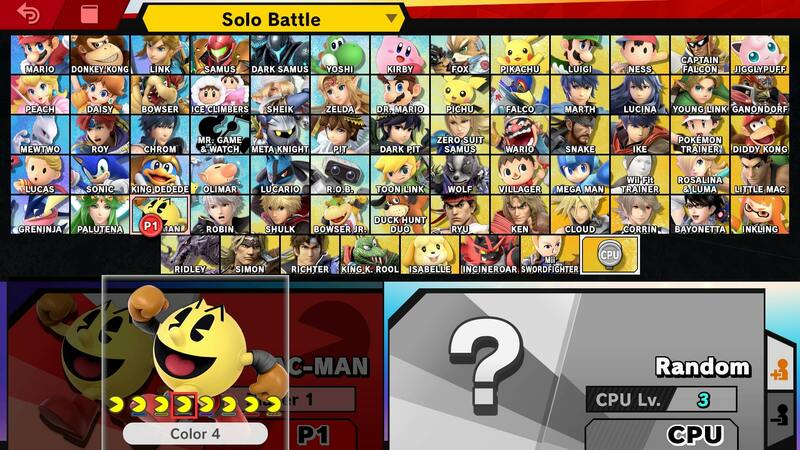 Pac Man has several Alternate Costumes that players can choose from. They pretty much just change the color of his gloves and shoes. There’s blue, yellow, black, pink, white red versions of his default design. There’s also a version with checkered boots and gloves, you can check it out in the image embedded above. 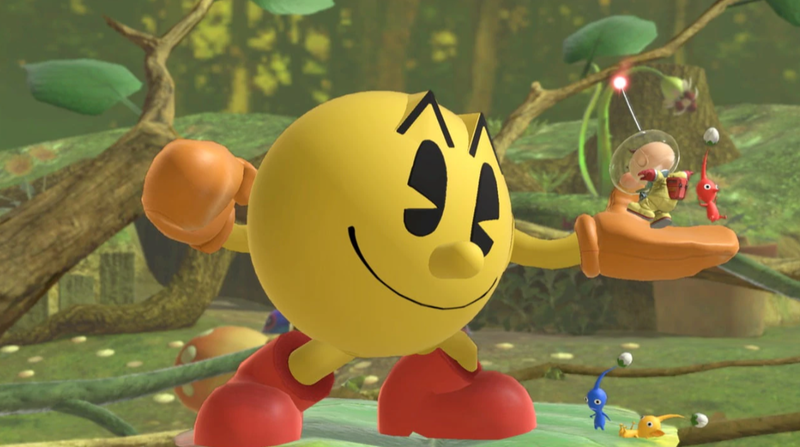 Pac Man has a pretty awesome Final Smash in Super Smash Bros Ultimate. It’s called Super Pac Man, and while it is essentially the same one as in the last game, there have been some changes. The whole thing now resembles his design in Pac Man Championship Edition 2. You can check it out in the video embedded above. That’s everything we know about Pac Man in Super Smash Bros Ultimate so far. Be sure to check back regularly, as we’ll be adding in more info on Peach as it gets released. For more details on the game as a whole, head over to our Super Smash Bros Ultimate Guides Hub.